For a mere freckle on the map, Okinawa enjoys enormous popularity. 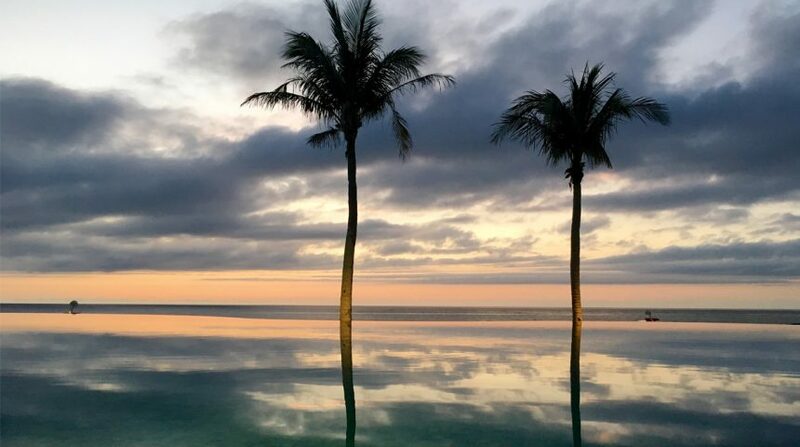 And despite the land and people being grossly burdened by decades of conflict, like the native prehistoric Sago Palm, the Japanese region’s culture and spirit continue to thrive. 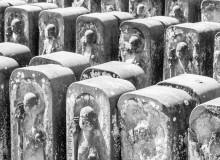 It is believed that many Okinawan traditions have stemmed from China around 600 years ago. Despite this claim, Okinawans are very proud of the unique qualities that distinguish them from the mainland. With roughly 40 daily flights from Tokyo bound for Naha, Okinawa’s capital city, it’s clear that city dwellers are intrigued by the Okinawan sun and how it lights up the eyes and hearts of the Japanese. If you’re planning on trekking to the island soon, let Metropolis make your Okinawa trip even more sunny with these top five picks. Things are a little topsy-turvy when it comes to pork production in Okinawa. The mystical black Berkshire island pig must have been created from the healthier of heavens, because despite its thicker-than-average fat, it’s significantly lower in cholesterol than other pork products, while containing increased levels of collagen and sweetness. Its buttery texture is likened to marbled beef, and chefs praise its versatility: every part of the animal can be used in cooking, from mimiga (ear) to nakami (intestine) and tebichi (trotter). However, most diners go straight for the ribs. Rafute is a popular rib dish which involves stewing the meat in soy sauce, miso, and awamori (a rice-based Okinawan liquor). 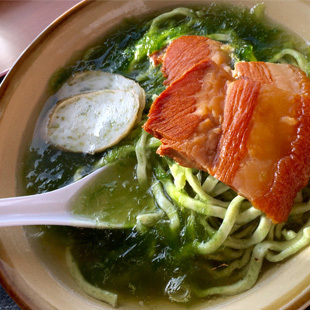 The most famous dish among tourists is the soki soba, a boneless pork rib dish served with wheat soba and locally grown mozuku seaweed. Visit Nakamurasoba for lunch or dinner, a no-frills restaurant situated on the coast in Onna-son that specializes in soba. But expect to wait among crowds of hungry diners during peak hours. The origin and history of each Okinawan craft is as diverse as the present-day artists who practice it. The clusters of unglazed pottery lining sidewalks in each village are said to be typically Okinawan. However, this popular earthy style was introduced by the Chinese in the 16th century. Later, the art form of glass-melting prospered post-WWII. 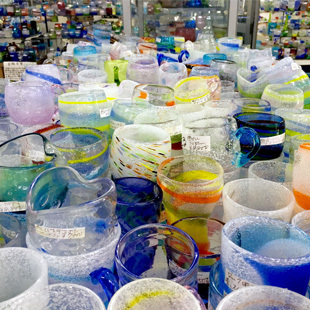 Both clay- and glasswares are commonly purchased as take-home souvenirs and gifts, and many glass factories offer lessons for the craftier among us. Check out Tsuboya-ōdōri and Heiwa-dōri shopping avenue, located in the center of Naha City. Here you can find traditional fabrics, instruments, and handmade arts and crafts. If you need a starting marker, head for a pottery store called Garb Domingo. If you’ve never scuba dived before, get ready to check it off your list in Okinawa. Taking an introductory dive facilitated by one of the many dive centers dotted along the coast will give you a rare look at some of Japan’s most spectacularly-colored sea creatures. Not only does the west coast possess one of the only three blue grottos known to exist in the world, but it also offers intrepid divers the opportunity to swim alongside feeding whale sharks. Each dive site is highly diverse in marine life and topography, establishing Okinawa’s coastline as an expansive exhibition of nature’s finest. Naoaki Ueno of Dive Center Isles in Onna-son is one of few instructors capable of adequately explaining all safety considerations and dive options, in English and Japanese. Having dived across the world over 5,000 times, he makes divers feel informed and comfortable. 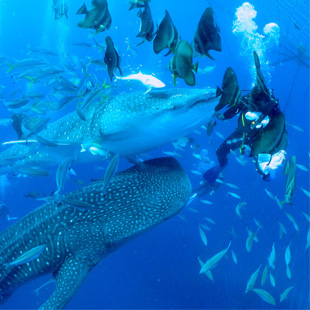 Uncertified divers can book an introductory dive with Nao to see the whale sharks and blue grotto. The Japanese are known for their adoration of arcade games and persistence toward skill-based activities. It’s no surprise, then, that Okinawa offers an abundance of water-based activities at most hotel-operated beaches. Stop at any one of the privately-run northern beaches and you’re likely to see vibrantly-colored objects floating atop the emerald green water. This includes jet skis, inflatable bananas or donuts, windsurfers, paragliders, pedalos, wakeboarders, waterskiers, and enough inflatable animal-shaped sun lounges to fill a zoo. 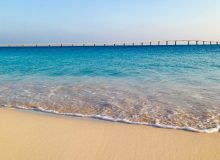 Stop and visit Manza and Ikei beaches. 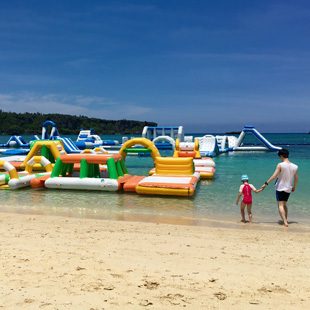 The horizon line at Manza Beach is obscured by a huge inflated obstacle course, where children and adults can buy a day pass to bounce, slide, and climb to their hearts’ content. Ikei Beach is located on a small island accessible by a road bridge. Make sure you take some change for entry fee and snorkel hire, as the netted swimming area encases a stunning array of colorful fish. Okinawans are so proud of their regional instrument, the three-stringed sanshin, that you’ll be hard-pressed to make it out of the airport without hearing its distinct twang infiltrating otherwise silent waiting areas. 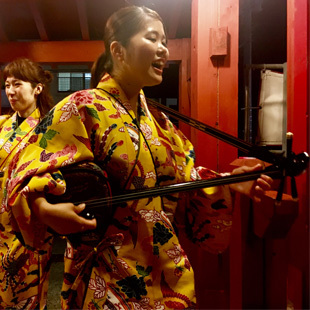 Traditional favorites trickle from inconspicuous speakers in restaurants, shops, and even popular outdoor shopping strips, making the sanshin the sound of Okinawa. 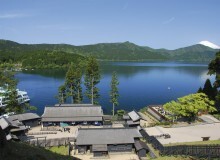 For those interested in seeing this ubiquitous, snakeskin-covered island treasure, there are many izakayas with scheduled evening performances situated around the tourist hubs. Check out the Paikaji restaurant in Naha City.